When your team has a big game in another state or an overnight school trip gets approved, your first step should be booking a 56-passenger charter bus. 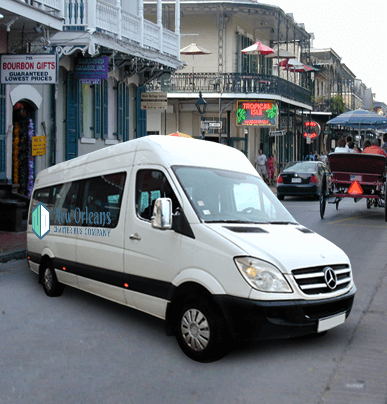 You can cross off a quick to-do while also ensuring a reliable ride that will get everyone safely to the destination, no matter how far it is from New Orleans. With plenty of cargo room for suitcases and bulky game gear, these charters can also give riders an upscale experience. Amenities like onboard bathrooms, TV monitors and DVD players, and even free WiFi can turn any lengthy ride into a fun trip. 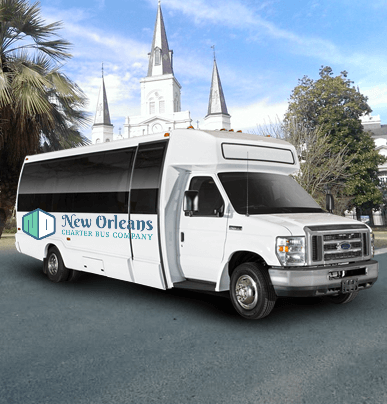 Call us at 504-315-2090​ and ask about our 56-passenger buses today—we can give you an affordable quote in minutes. The roomiest bus option available through our network, the 56-passenger charter is a sleek choice for long roadtrips thanks to its impressive cargo space. 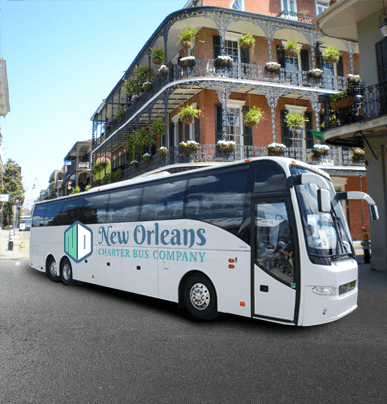 No matter where you’re headed, we can help you book a top-notch 56-passenger charter bus outfitted with all kinds of bells and whistles to make your trip that much better. 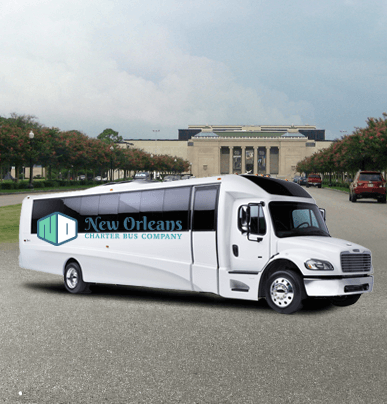 Ideal for small to medium sized groups, the stylish 20-passenger minibus is a popular choice for events such as weddings, corporate functions, and self-guided tours around New Orleans. Get your group in this comfortable shuttle, and watch your worries melt away. A highly-requested option, the 25-passenger minibus is sized just-right for a variety of groups that are too big or too small for the other bus options. Think bachelorette parties or students on a field trip—group travel is conveniently organized with a chauffeured mid-sized minibus. The 18-passenger minibus is the smallest shuttle we offer through our network, but don’t be fooled by its size—it’s still spacious enough to comfortably fit all 18 passengers. Take this efficient vehicle to group volunteer sessions or use it as an airport shuttle—the possibilities are endless with this compact bus as it zips around traffic with ease.